Quasar Plus Sensor Loupe 7x Magnifier is an improvement to Quasar Sensor Loupe 7x. 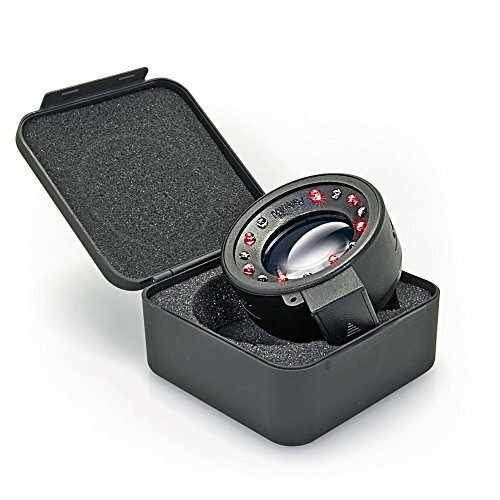 Quasar Plus Sensor Loupe 7x Magnifier comes with a 52 mm metal ring to attach filters and close-up lenses for higher contrast and magnification. For example, using amber filter effectively blocks blue light increasing the contrast and reducing the glare accompanied with sharper image and less strain to the eyes. Blue light blockers are ideal for low vision users. The attachment of UV filters can enhance image clarityand protecting the ED glass lens. 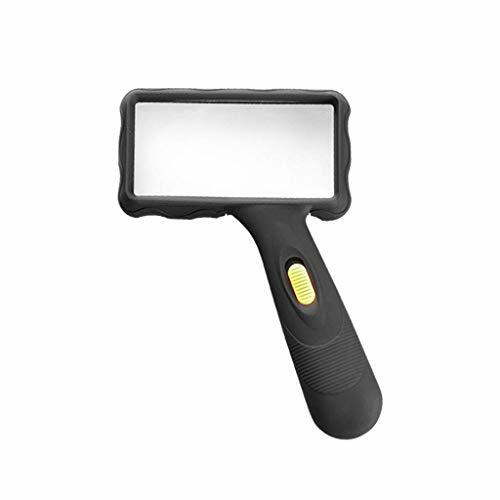 The attachment of polarized filter can be helpful in distinguishing stain from dust. 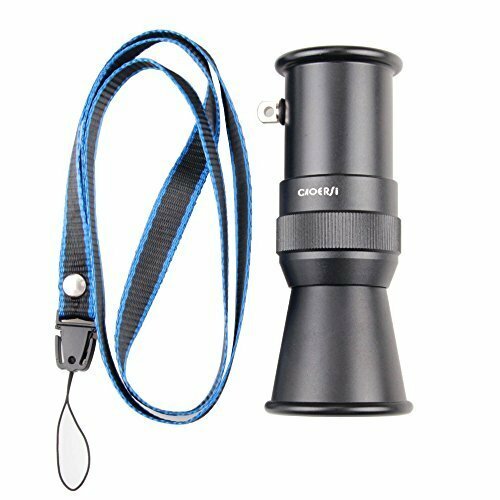 The filter ring in Quasar Plus 7x Magnifier allows the attachment of various hoods for a glare free image when used outside in the bright daylight. The metal filter rings allows a connection to various camera lens system via connector tube for creative photography. The Bright Vue technology used in Quasar Plus Sensor Loupe uses six (6) super bright LED with vari-angled orientation designed specifically to create to create a 3D representation and identify the smallest spots with the highest resolution. The ED Glass (Extra-Low Dispersion glass) and Fluorine coating (MgF2) reduces chromatic aberration and creates a sharper image. 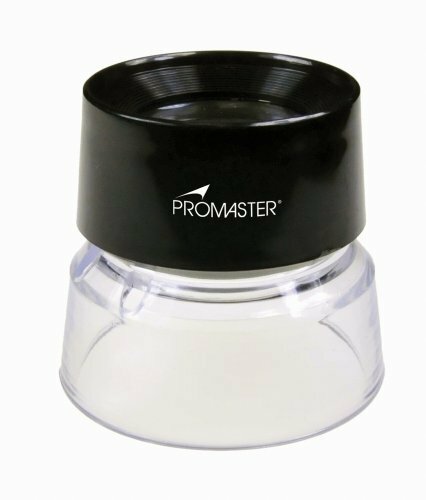 The ED Glass (Extra-Low Dispersion) lens in Quasar Plus Sensor Loupe 7x Magnifier has been lowered for a better and improved focusing system for sensors placed in deeper cavity. PATENTED. PEAK zoom measuring loupe. Smooth precision zoom mechanism with click stops at 8X, 10X, 12X, 14X and 16X. Both the object being inspected and the scale remain in focus through the entire range of magnification. High precision optical quality achromatic lens system with focusing from +2 to -2 diopters gives you a needle-sharp, brilliant image from edge to edge. Comes complete with measuring reticle, protective carrying case, and lens cleaning cloth. Fully coated for color corrected flat field viewing. 360 degree clear acrylic base admits light from all directions. 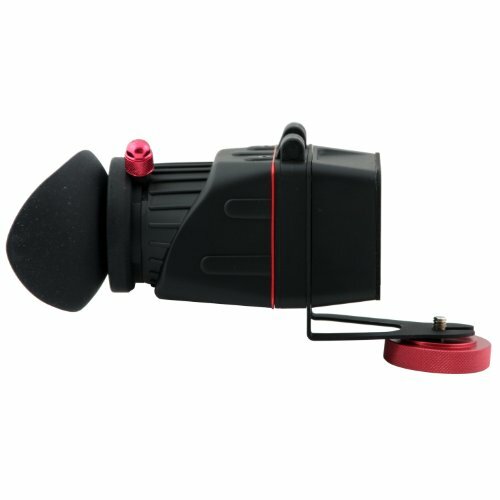 Smooth helicoid twist focus mechanism comparable to those used on high quality camera lenses. Dual inch/metric interchangeable glass scales. 8X - 16X magnification, 0.40" lens diameter, 0.79" - 0.40" field view, 8 lens optical system, 0.005" scale division, 35mm scale diameter, 0.60" measuring range. Measures 1-49/64" diameter by 2-1/2" height. 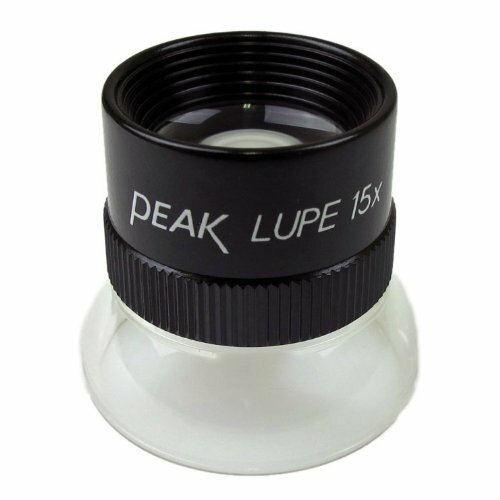 PEAK fixed focus loupes. 360 degree clear acrylic base admits light from all directions. Optical quality acrylic lens elements. 10X magnification, 1" lens diameter, 1.10" field of view, 2 lens optical system. Measures 1-49/64" diameter by 1-9/16" length. The magnifying floor lamp with LED lamp and magnifying glass can clearly check the skin, nails and other tiny things. Even with small size base, it can stand steady and effectively saves space. The height is flexible, you can adjust it to achieve the most clear state. It is one of the necessary equipment for daily life and medical beauty and tattoo use. Bright light is suitable for tattoo, beauty tool, manicure and other microblading makeup use. Hands-free design, you don't need to hold the lamp by yourself, so you are freely to operate. Bright and soft light, comfortable eye contact, suitable for detailed care use. Suitable for being used as a home floor lamp and professional use lamp as well. 4 omni-directional wheels make the hair dryer portable and convenient to move. The basic tools for the development of animal and plant specimens, jewelry and jewelry, student reading, old-age reading, beauty and tattoo. Note: Due to different measurement methods, there will be an error of 1-2 cm. This is normal. Request forgiveness. Because of the difference in light, camera equipment and monitor, please pay attention to slight chromatic aberration. welcome to our store! Product orders are usually offered after 10-20 days. Design Weighted base with four rolling legs is sturdy and it rolls easily on a smooth surface and low carpeting. Perfectly pivots in any direction to meet your need. 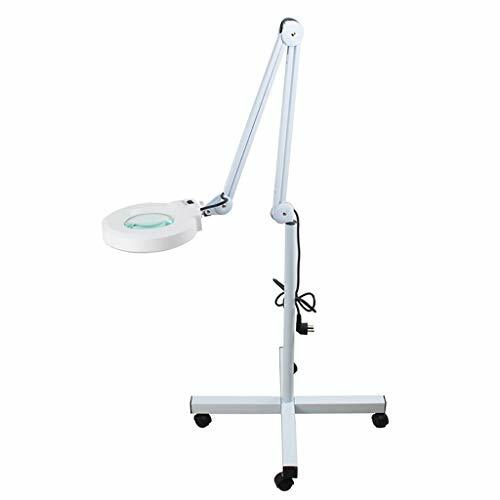 MULTIFUNCTION MAGNIFIER LAMP Its large 5 diopter lens brings renewed clarity to drawing, reading, arts & crafts, sewing, needlework, beading, electronic repair, working, studying, cross stitching, knitting, crocheting, beading, or other hobbies. The surface will have unevenness and uneven coating, which is normal and will not affect the use. 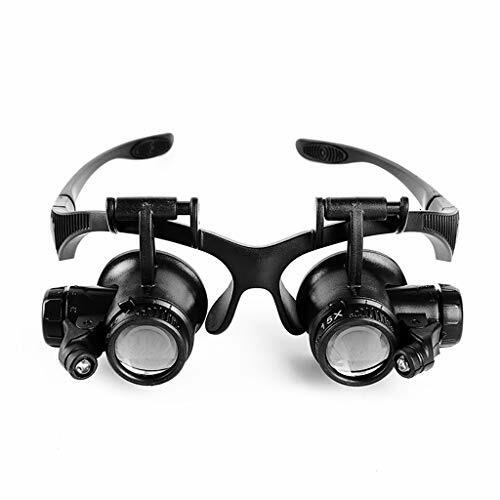 As Head Lamp and lighted Magnifier -- Combine magnifier with light in headset design, not only act as a lighted magnifier,but also a head lamp in work or emergency. A great tool to leave your hands free. Multi-adjustment - The light and lens angle can be adjusted to ensure precise illumination. ON / OFF button on the top is easy to light up. Please insert new batteries in correctly. Practical Magnifying Tool - Lighted with LEDs,Note: Powered by 3 AAA batteries (Not Included).Perfect for eyelash,crafts,repairing,making jewelry,reading,Painting,emergency,etc. 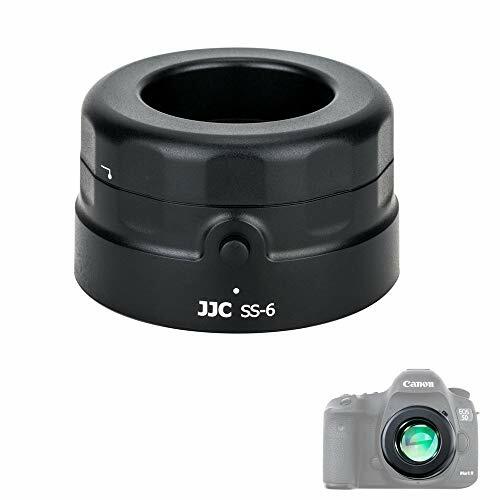 JJC sensor loupe helps you to clearly recognize dust and other particles on your image sensors of DSLR or Mirrorless cameras. It features 7x magnification and 6 ultra-bright LEDs. The LEDs are embedded in extra-low dispersion glass to make the light illumination well-distributed, enhance the light gathering effect, and reduce the shadowing. All these features can help you inspect the tiny dust on your sensor surface. The Sensor Loupe is powered by 2 CR-2032 batteries(included) or connected to power supplies directly via a USB Type-C cable (Not Included). Besides that, it also comes with 1 storage pouch and 1 microfiber cleaning cloth for storing and cleaning your Sensor Scope. In addition to gaining a magnified view of your image sensor, this loupe can also be used to view negatives, slides, or other small objects. 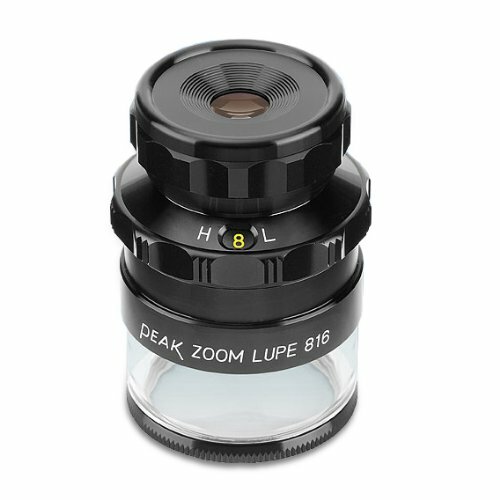 PEAK fixed focus loupe. 360 degree clear acrylic base admits light from all directions. Optical quality glass lens elements. Coated achromatic lenses. 15X magnification. 0.75" lens diameter. 0.79" field of view. 3 lens optical system. Measures 1-21/64" diameter by 1-13/32" height. 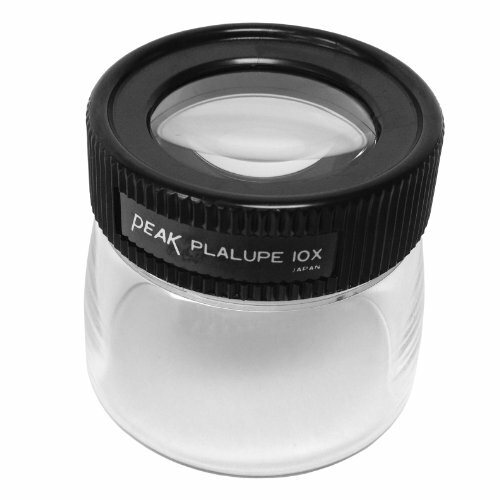 PEAK fixed focus loupe. 360 degree clear acrylic base admits light from all directions. Optical quality glass lens elements. Coated achromatic lenses. 22X magnification. 0.75" lens diameter. 0.40" field of view. 4 lens optical system. Measures 1-7/64" diameter by 1-11/64" height. This product not only has high definition HD, it is clearer when used, and it is easy to carry,It can be placed in pockets and wallets, suitable for the elderly, low vision and a variety of professional needs. Your packaging is carefully packaged to prevent damage during shipping, I want to tell you: We are committed to providing better products and providing you with the perfect shopping experience,thank you for coming! After-sales service: Welcome to our store, we value the shopping experience of each customer, delivery time is 7-21 working days, if you do not receive within 30 days, please contact us in time, thank you for coming. The barrel made of aluminium alloy with rubber base to protect scratches your ground glass, lens made of high grade optical glasses, with diopter adjust feature. Approximate length 4.45"(11.3cm), diameter 1.8"(4.6cm). We will drop a neck strap as gift, but color and style may variety, depends on current stock. Loupe made of optical glass, barrel made of aluminium alloy, diopter adjustable. Bright and high contrast. Rubber base to avoid scratching your ground glass. 8 times magnification allows you to focus easily and firmly. Loupe length 4.45(11.1cm), diameter 1.8(4.6cm). Comes with a neck strap as a small gift, but color and style may variety, depends on current stock. PEAK photographers large format loupe. A must for all professional photographers loupe is used for the inspection of negatives and pictures, as well as checking the focus on cameras. It has a high resolution achromatic lens that has been corrected for any chromatic aberration and is adjustable for individual focusing. The wide, square body makes it useful for many high precision, wide field inspection applications. 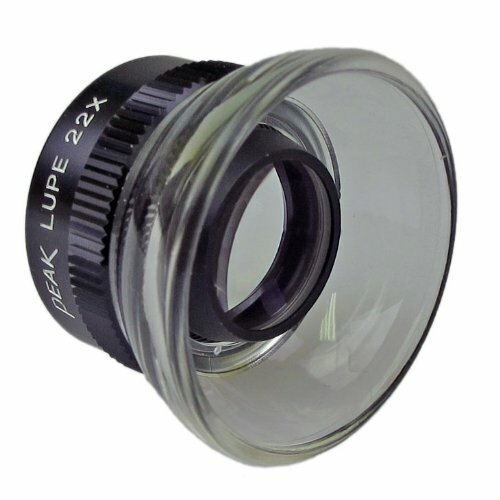 This loupe comes with two bottom skirts (one semitransparent and one black) that can be easily interchanged. The semitransparent skirt is ideal for checking photographic films, and the black skirt is used to check the focus on large format cameras. Focus adjustment is made with a multi-groove screw helicoid system which is the same type that is used for camera lenses. 4X magnification, 1.77" x 1.77" field view. Measures 2" length by 2" width by 2-71/128" height. The Varavon Loupe EX Solo is a simple, yet advanced, optical 3X magnification loupe with built-in easy diopter adjustment designed to fit cameras such as the Canon 5D and 7D. It enables easier follow focus and more critical adjustments effortlessly while enabling clear viewing of the LCD screen in bright sunlight. The loupe can be easily transformed to a simple yet effective hood by rotating the loupe upward. The loupe can again be rotated downward for the full 3X loupe function. There are no screws to lose or tools required. The hinges are the same technology as those used on cell phones and there is a foam seal that protects the camera. The Loupe EX Solo attaches easily and securely to the camera via a connector that attaches to the camera s tripod socket. It has a 1/4 thread so the unit can then be attached to a tripod or similar device. Attaches easily and securely via the tripod socket. When examining something small and precious, you usually don't have an extra hand to hand hold a magnifying piece. These powerful Loupes clip on to the side of your glasses so you can have hands-free magnification! The heavy-duty spring clip combined with the rubber dipped grip ensures your Loupe will stay firmly attached to your glasses. Four different adjustment screws allow you to tighten, loosen rotate and twist to get things to the perfect setting. Dual flip-down Loupes allow you to easily switch between the 7.5x magnification lenses. When you don't need magnification you are able to quickly flip the Loupes out of your vision line for unobstructed view. 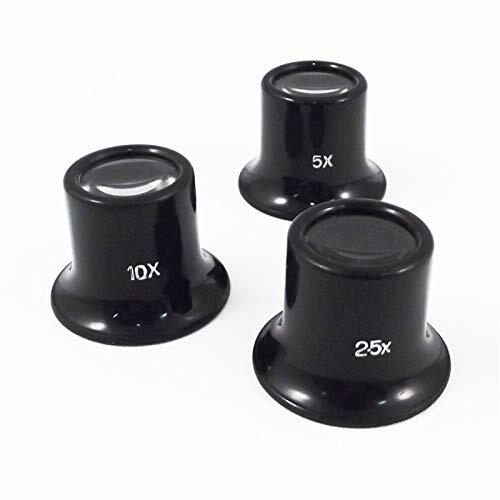 Improve your detailed viewing with the SE MI120P 10x Black Plastic Eye Loupe Lens. It is great for arts, crafts, sewing, inspecting antique markings, coins, jewelry, and many other items. The dimensions of this easy-to-use item are 1" x 1-1/2". SE is committed to providing the customer with the best source for value possible on the market. 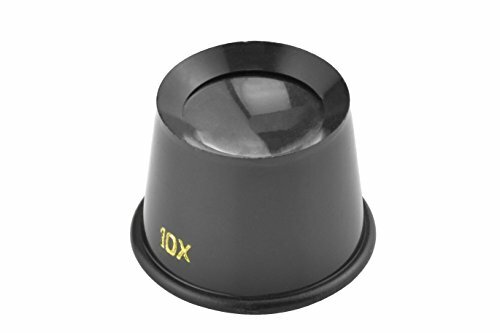 You will enjoy the quality, function and usefulness of our SE MI120P 10x Black Plastic Eye Loupe Lens. 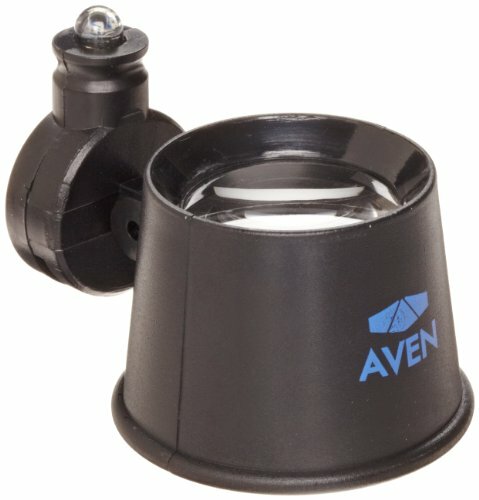 Eye Loupe with LED Light. Fits comfortably in eye socket. Optical quality lens mounted onto a plastic frame. 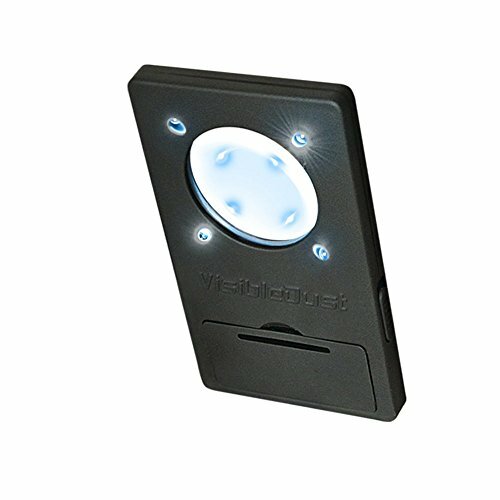 Bright LED light with swivel allows you to shine light on item being viewed. 10x Magnification. 10X Eye loupe; 1" working distance. Quality assurance, welcome your purchase. Applicable scenes: circuit maintenance, reading and reading newspapers, jewelry identification, calligraphy and painting identification, porcelain identification, etc. Attention to detail, simple and practical. Usually, we will ship in 1-3 days, Delivery time 2-3 weeks, Please contact us if you can not receive your order within 30 days. Package inlude:1*magnifying glasses .Dispatch time: 2-25 days,if you have any questions,please contact us promptly,We will promptly resolve any questions about the product:such as how to use the product properly,30 days to allow returns(Need a suitable reason and picture).Rejecting the bad reviews and claims.Thank you for your understanding! Our products are used in a variety of ways, with the size of A4 paper, the mirror size is comparable to the 8-inch computer screen, the image is clear, with 12 LED lights, portable, is the best choice for you to choose a magnifying glass! A4 paper size -large lens for more reading information and more comfortable use. Threaded lens -is made of Fresnel thread, with clear image and wide field of view. 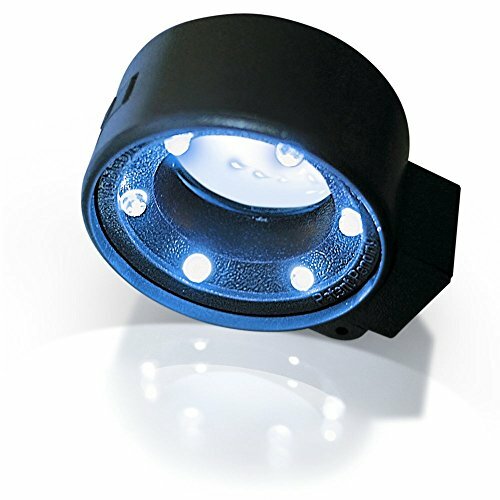 12 LED lights -to meet your all-weather use needs, to illuminate your eyes. Portable design -The temples can be folded, unfolded for easy reading on the desktop, and folded for easy carrying. Environmental material -The mirror body is made of environmentally friendly plastic, and it is energized and used in various ways.